Six years ago I started blogging in an effort to change the narrative of plus size pregnancy from something that’s stigmatized to a normal experience. I knew one of my biggest challenges would be promoting positive plus size pregnancy news stories. Along this journey I’ve had some really exciting opportunities – I’ve traveled the country speaking and have made so many life-changing connections. I’ve co-authored a book on body love for moms and wrote a book on plus size pregnancy. My article, Obesity and Pregnancy: Time to Change the Conversation, resulted in a guest appearance on HuffPost Live. In late 2016, I was flown to Washington, D.C. to present to the National Institutes of Health. Television spots had always been an ambition of mine but also a source of true fear. 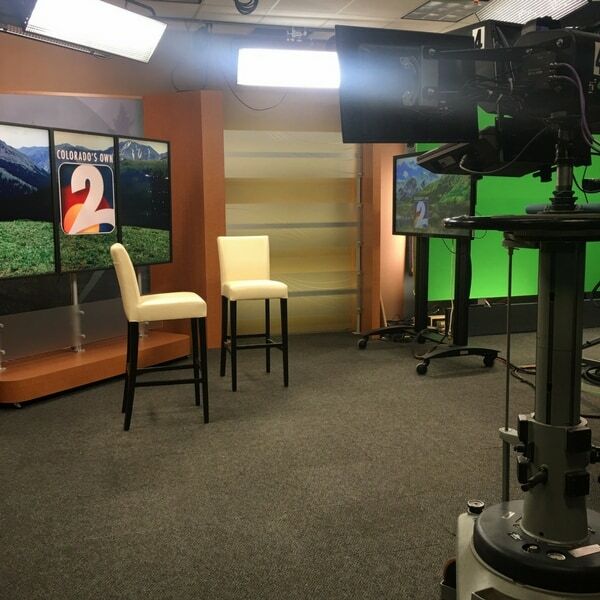 In May of 2017 I was presented with the opportunity to be a guest on Channel 2 Daybreak (a local Denver, Colorado morning news show) and I knew I was ready! When they asked me to provide talking points and I realized this would help to direct the conversation. Most often when we see plus size pregnancy news stories, there’s a focus only on the negative and language like “obesity” is used. While “obesity” is a medical term, it’s a word that many plus size individuals find offensive. I’m thrilled to share that the o-word wasn’t spoken once. While the newscaster started by highlighting some increased risks, that wasn’t the focus of our very short time together. I’m getting ahead of myself! After a short wait in the reception area, I was taken back to the staging area and immediately saw my nightmare – barstool style chairs where the interview would take place. As I’m only 5’ tall and a larger individual, barstools are uncomfortable and unwieldy. We prefer to avoid each other! I’ve learned through doing a lot of body positivity work, that I have the right and responsibility to advocate for myself, my safety, and my comfort. I spoke up, “I’m sorry but I don’t think these chairs are going to work – I’m short and fat.” I don’t mind the f-word and I just wanted to be clear and state the facts. I made a joke, “I’m a little afraid I’ll fall off the chair mid-segment, but at least it would make for good TV.” While the joke wasn’t needed, it was exactly the fear running through my head so I shared it. The staff immediately jumped into action to accommodate my request. I felt totally supported once I shared my concerns. So with the new stage set, I waited for my turn. 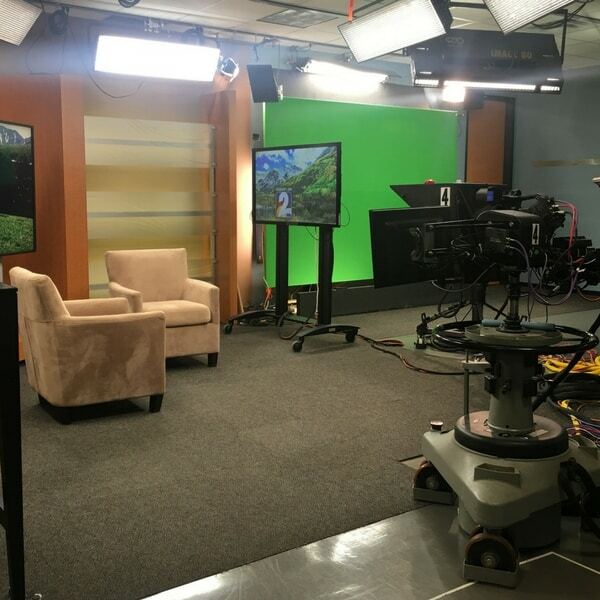 I got to watch two traffic segments with the newscasters presenting with the green screen behind them. It was so neat to see! As people walked by they introduced themselves. 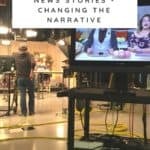 I met those who worked behind the camera to newscasters. Such a nice crew! They made me feel so welcome that I wasn’t paying attention to my nerves. I was just eager to go live. All of a sudden my nerves came crashing down. I asked Natalie, ”Where do I look?” as there were three cameras facing us. She responded, “At me” and then we were LIVE! I honestly felt like I was tripping on my words a lot. While I was desperate to convey my messaging of normalizing plus size pregnancies, I heard myself sounding a lot like Charlie Brown’s teacher, “Womp, womp, womp”. Before I knew it I could tell the two or so minutes were coming to an end. I had, just started to feel like I was finally clicking, then it was over. 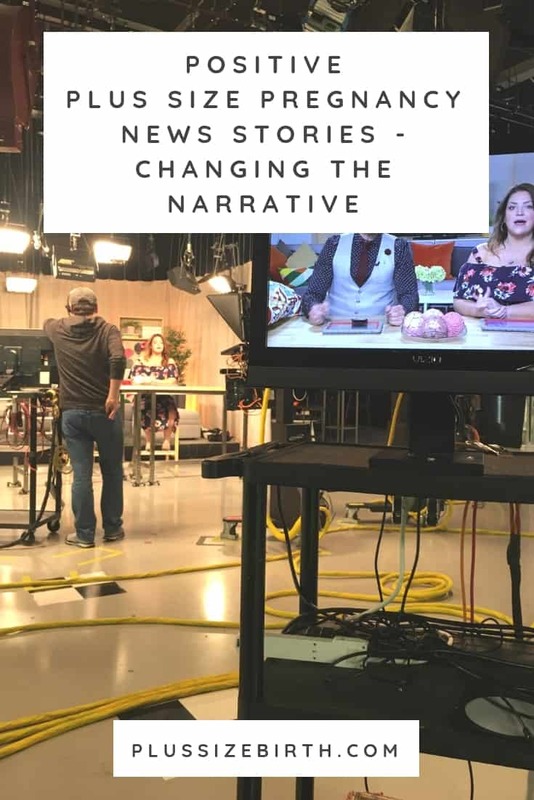 Had I just messed up a big opportunity to help share positive plus size pregnancy news stories? No, thankfully I surprised myself with how great I sounded when I was able to watch the playback! Sure, there are things I’d do different but overall I’m really proud of how I represented myself and the issues. 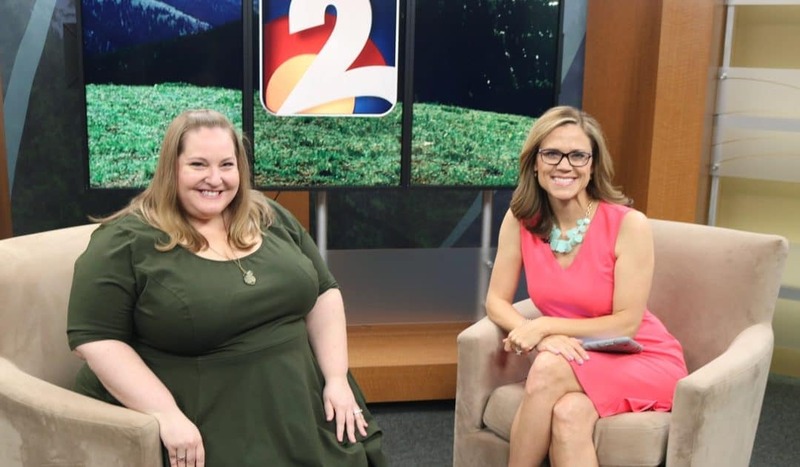 More importantly, I hope this super short news segment can be an example of how we can start to talk about plus size pregnancy in a more positive light. The newscaster started the segment talking about increased risks – this is the “news” after all. However, that wasn’t the focus and she quickly transitioned to the fact that I am an expert and a positive resource for plus size pregnancies. I really hope you enjoy this watching this clip of my interview. 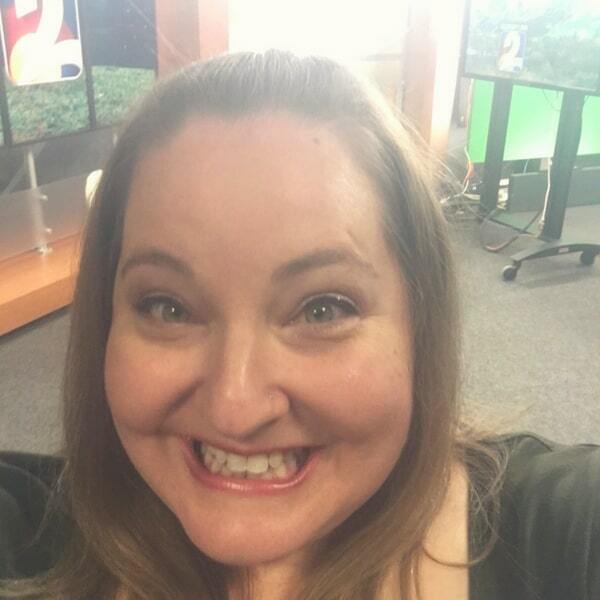 About two weeks later I found myself in front of the camera again on the Fox 31 Everyday Show. This time, I was not only asked to present talking points ahead of time but I also really hit it off with the producer of the show. 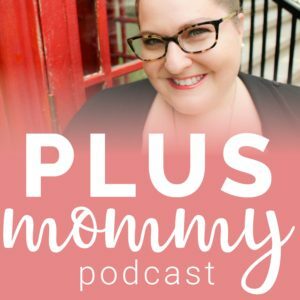 She had her own struggles with fertility and wanted to make sure I shined in my segment. Below you can watch the video and see a far more confident woman! I envision many more TV opportunities in my future to increase the number of positive plus size pregnancy news stories!